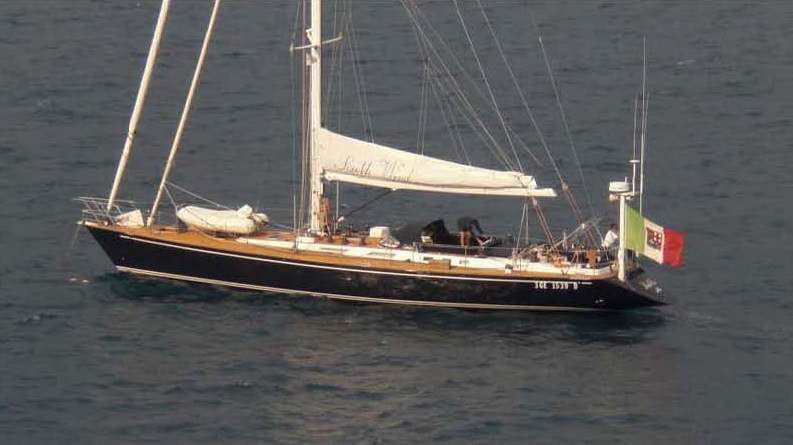 Luxury Bruce Farr designed SOUTH WIND was built by Nyteco in 1994 and underwent a refit in 2007. Charter yacht SOUTH WIND measures 19.7m (64.10ft) and is available in the West Mediterranean with accommodation for up to 6 guests in 3 en-suite cabins. 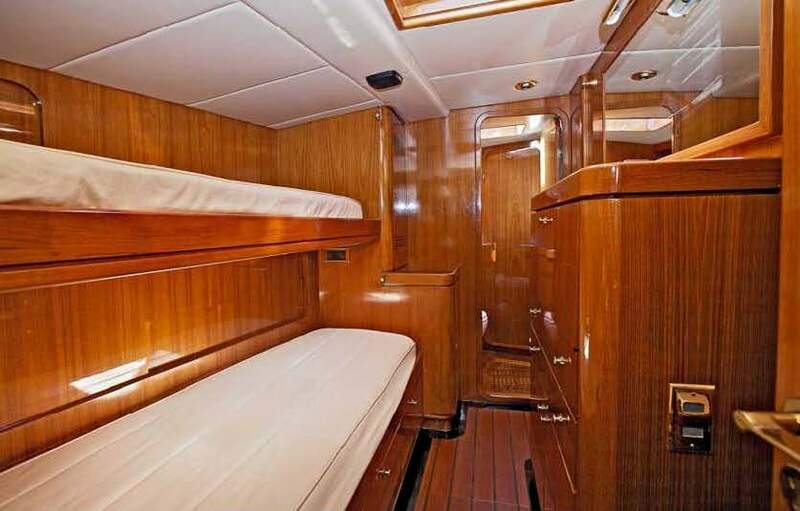 S/Y SOUTH WIND has a modern traditional interior featuring fine cherry woods throughout. 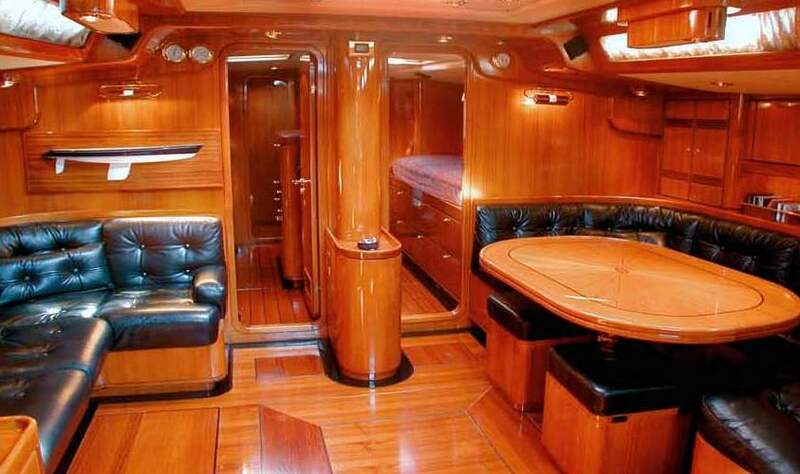 The salon boasts supple black leather soft furnishings with a formal dining table and U shaped sofa on the starboard side and settee on the port side. Guests wishing for some indoor entertainment can do so with the flat screen plasma TV. 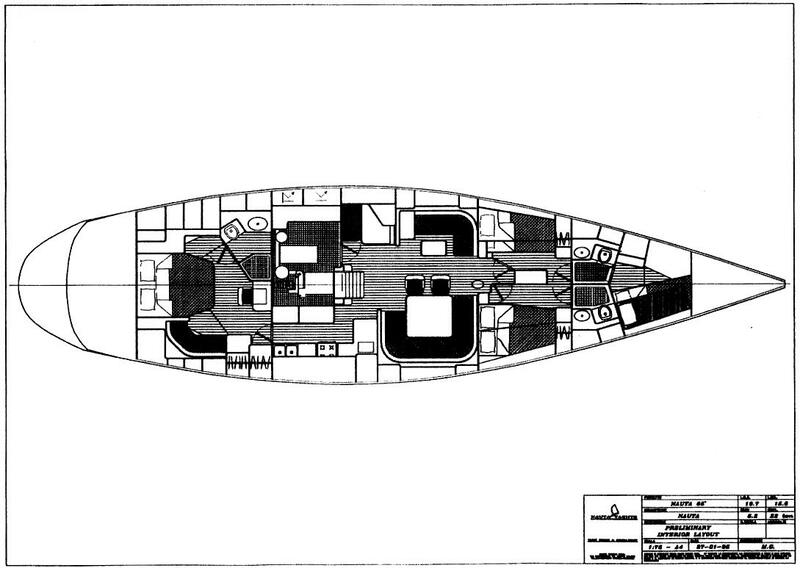 The entire space receives plenty of natural light thanks to the raised cabin house design, ports and overhead hatches. Guest accommodation is fore and aft of the salon. 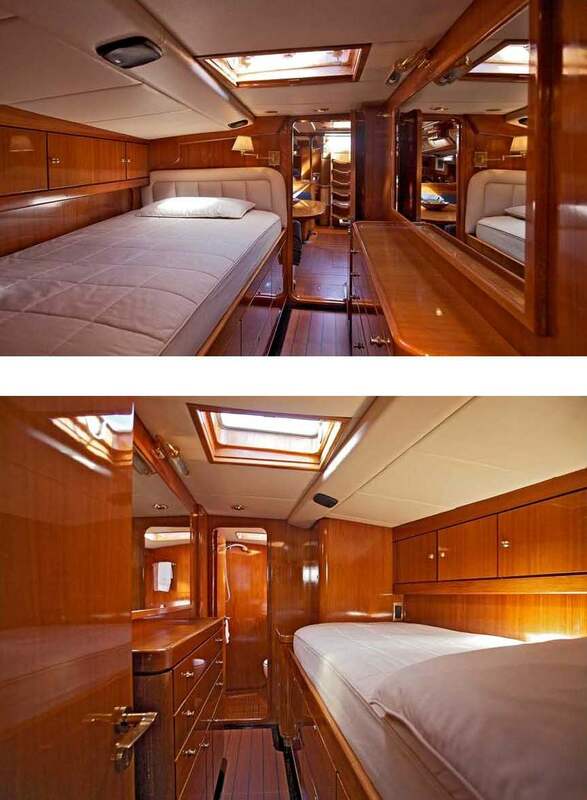 Sailing yacht SOUTH WIND is fully air-conditioned for optimum comfort. 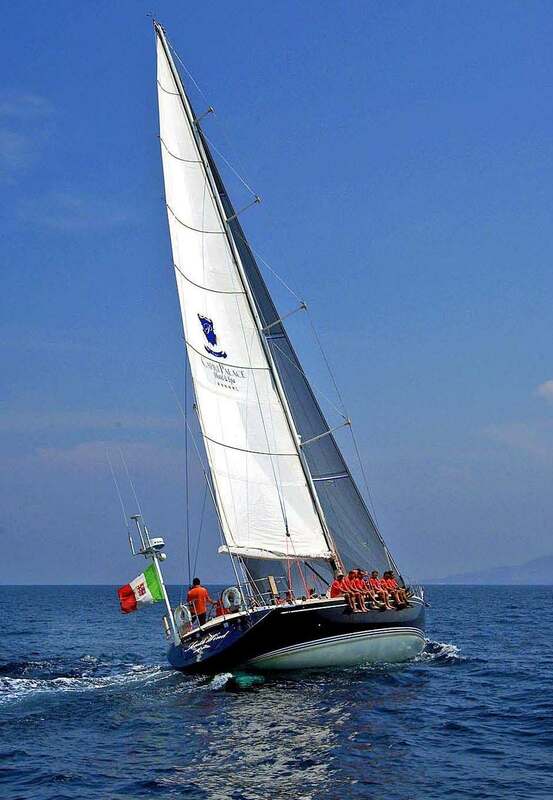 Sailing sloop SOUTH WIND boasts quality full teak upper decks and ample areas to relax. The guest cockpit is free from running lines, further aft the helms followed by the transom. 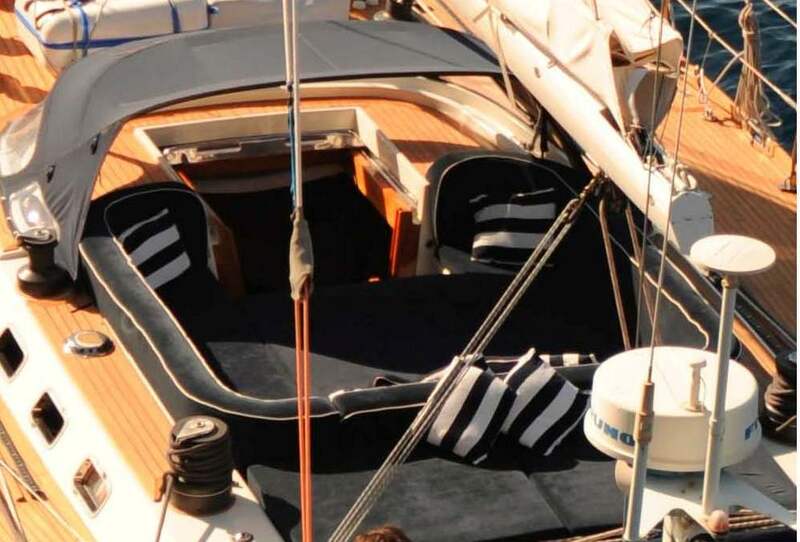 While not under sail S/Y SOUTH WIND has plenty of additional deck areas forward to sun, relax and just enjoy. The SOUTH WIND sailing yacht has a beam of 5.2m (17ft) and a draft of 3m (9.10ft), she is powered by 1 MAN 270hp engine, reaching speeds of 9 – 10.5 knots. Luxury sailing yacht SOUTH WIND offers 3 en-suite cabins for up to 6 guests. 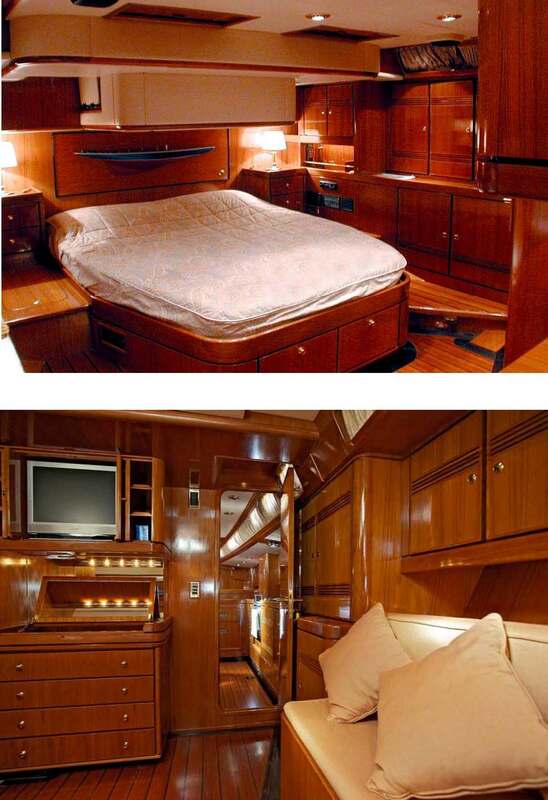 Aft and full beam of the yacht the master stateroom boasts a queen size center lined bed, vanity, loveseat and TV/Stereo system. Forward on port and starboard are 2 mirror image cabins with twin beds and a Pullman berth each, these cabins both offer stereo systems and en-suite facilities with shower.